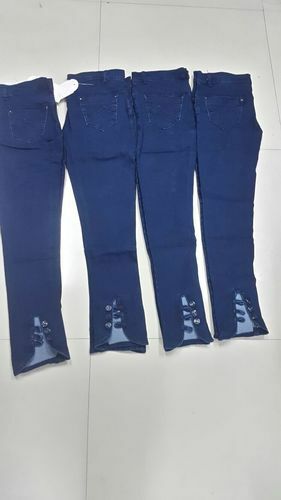 Incorporated in the year 2016,We “Royal Star Exim” are Sole Proprietorship (Individual) based firm, Have office in GREATER NOIDA IN GAUTAM BUDH NAGAR engaged in manufacturing, wholesaling, importing and exporting of Ladies Leggings, Cotton Leggings, Denim Jeggings, etc. Due to the support of our Proprietor, “Mohd. Shahenshah Khan”, we have attained a reputed status in this domain. We export our products to Malaysia and SAUDI ARABIAand USA and planning to establish our BUSINESS in other COUNTRIES ALSO.Royal Star Exim presents a huge selection of stylish cotton Leggings and Jeggings in a myriad of designs, colors and prints. Whether you are looking for high-waist creations with vintage elements or belted varieties or low-waist options, the company provides you with the best and perfect for your need. The versatile and fashionable picks, provided by the company, are sure to fulfill your need through the seasons from winters to summers.